There was some real excitement right around Christmas time. It’s easy to buy a new Kindle, now that the cheapest Kindles cost just $79. 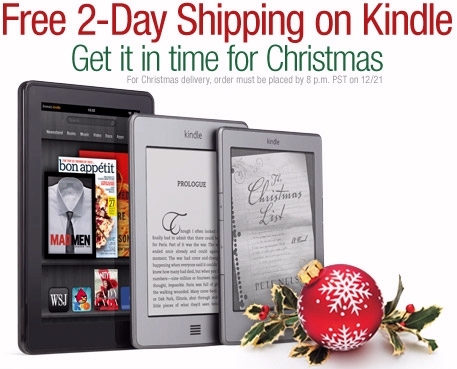 And on December 21st, until 8 p.m. (in Seattle), Amazon offered free two-day shipping on any Kindle, so it’d arrive just in time for the holidays! And it’s not the only great game that’s suddenly lowered its price. In fact, every game from Electronic Arts is now specially priced at just 99 cents. (Point your browser to tinyurl.com/MoreEAGames .) There’s even a master game pack that’s called “POGO Hearts, Spades, and More” which also includes Euchre, Gin, and Canasta in a single download. Here’s a list of the other EA games which are currently on sale for just 99 cents. But it gets better, because Amazon’s announced their list of the best games for all of 2011 — and all of those 25 games are on sale now for just 99 cents! That includes Mobigloo’s version of Mahjong Solitaire — which normally costs $3.99, and which Amazon named the #5 best game of the year. (Mobigloo’s Jewels — normally $1.99 — also grabbed the #3 on Amazon’s “best games of the year” list.) But it was EA Games that took four of the top ten slots on the list, including the #1 spot (for Yahtzee) and the #2 spot (for Scrabble). To see the complete list, just point your computer’s web browser to tinyurl.com/Best2011Games. There’s New York Times crossword puzzles, many variations on Sudoku, and several apps with calendars, calculators, or Yoga poses. And surprisingly, you can even get a discount on SpongeBob Squarepants’ Treasure Quest – since Amazon’s declared it the #16 best game of the year! 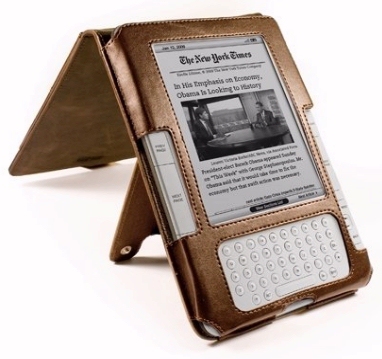 Did the Kindle Skew Amazon’s Year-End Best-Seller List? A Very Special eBook – about My Dog!